KUALA LUMPUR: PKR central committee member Latheefa Koya has urged the party to immediately suspend voting in the Julau division in Sarawak, scheduled to take place on Saturday (Nov 10). She also lambasted her party's approval of the controversial Julau membership spike as tantamount to "legitimisation of fraud". Latheefa also slammed statement by PKR communications director Fahmi Fadzil, who was quoted as saying that the party’s political bureau had approved the membership roll. “This statement is nothing less than an attempt by PKR's highest decision-making body to whitewash the controversial Julau membership issue. “We know that some political bureau members had raised serious concerns over this matter, but the approval was bulldozed through nevertheless. “If the increase in membership is legitimate as claimed by the PKR political bureau, then why have so many people come forward with complaints that their names have been added to the Julau membership roll without their consent?”, she said in a statement on Friday. Previously, it was reported that the Julau PKR membership had increased overnight from only 603 to 13,000 on June 26. Latheefa, however, claimed that the number had actually increased from a mere 66 to 13,178 members. "It is also astonishing that the PKR political bureau saw nothing unusual or alarming in the fact that the 30 other PKR divisions in Sarawak have only 9,691 members in total, whereas the single Julau division suddenly has 13,178 members. “This should have rung alarm bells in the mind of any reasonable person,” she said. She alleged that there were two versions of the circular No. 4/2018 dated 27 June 27, signed and issued by the party secretary-general, which tabulated the final number of members approved. "In the first version, Julau shows a membership of 66 only. In the second version, Julau is shown to have 13,178 members. What is the explanation for these two versions and what is real number of members in Julau division? "The PKR secretary-general's response yesterday that the first circular is a 'mistake' strains credulity, in view of the surrounding circumstances including the complaints by people that they had been registered without their consent." She also noted that the membership list was perplexing as it included names of non-members including Meluan state assemblyman Rolland Duat Jubin from Gabungan Parti Sarawak. "This dubious list includes Rolland Duat Jubin of Gabungan Parti Sarawak and members of Parti Tenaga Rakyat Sarawak who have all denied ever joining PKR. Further, a phone survey revealed at least 1,310 victims whose names were registered without consent, whereas other names were not even contactable. "It is significant that the PKR statement yesterday did not even address the crucial issue of these blatant identity thefts which have been public knowledge for several months." She also fired a shot at PKR's alleged move to overlook evidence of fraud in the statutory declaration on Oct 17 by Sarawak PKR information chief Vernon Kedit. Latheefa said it was outrageous for party secretary-general Datuk Seri Saifuddin Nasution Ismail to insist that there were no objections made against the list. "Failure to object, even if true, cannot legitimise a fraudulent list. "To the bafflement of the public, the PKR political bureau act and issue statements as if these complaints do not exist. 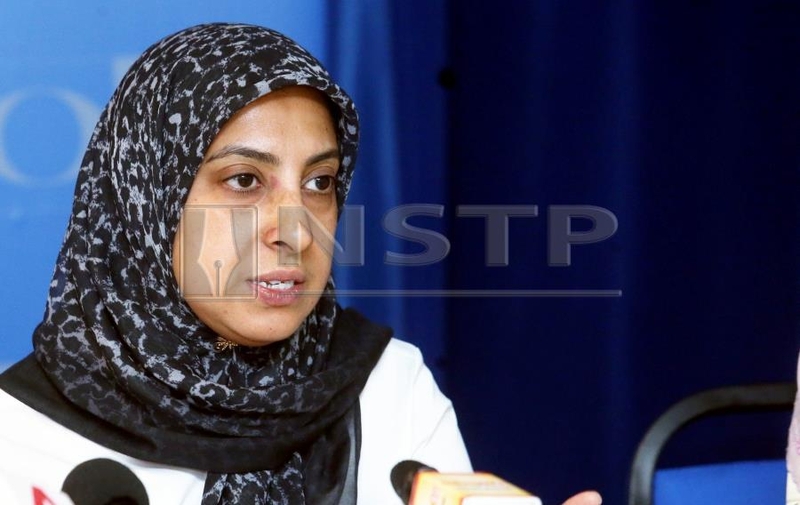 Latheefa urged for voting in the division scheduled this Saturday to be suspended immediately. "The PKR political bureau's hasty approval of the Julau case disgraces 20 years of the reform struggle in Malaysia. It is indefensible and unacceptable. "The way PKR's election has been conducted is even worse than the way the BN-era Election Commission used to conduct elections."